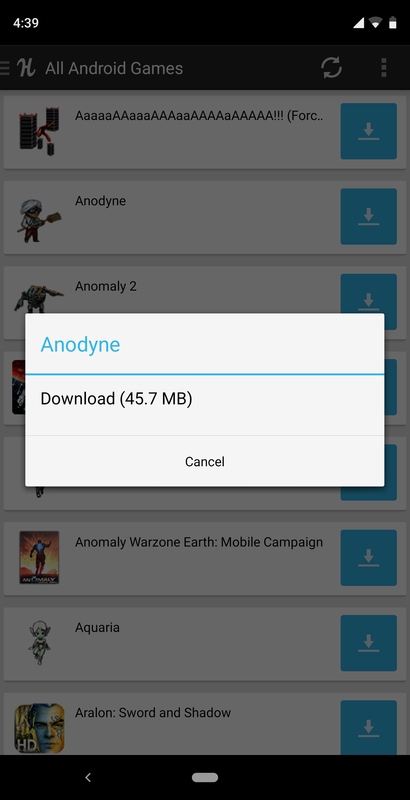 Many people think that Google Play is the only option Android users have for downloading apps. But there are actually quite a few quality alternatives. 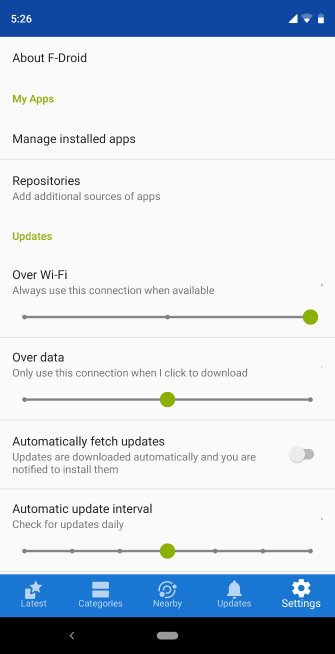 Additionally, if you’ve bought a device that isn’t authorized to run the Play Store, getting access can be very difficult (if not impossible). You’ll have no choice but to use an alternative. Frankly, there are many reasons to use an alternative app store on Android. The options below can help you find plenty of great apps even without Google Play. The first and most obvious alternative is the Amazon Appstore. This is probably the biggest contender to the Play Store, as it’s the default app store that ships on all Amazon Fire tablets. We’ve compared the Play Store to the Amazon Appstore Google Play vs. Amazon Appstore: Which Is Better? 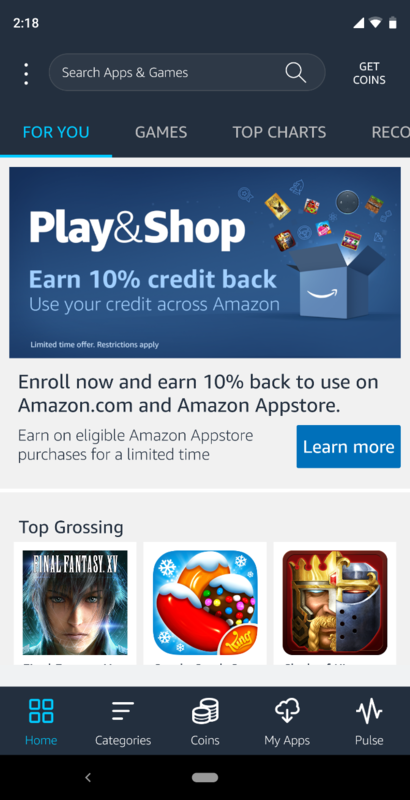 Google Play vs. Amazon Appstore: Which Is Better? 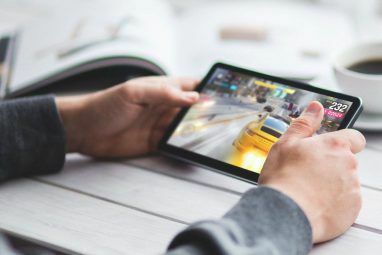 The Google Play Store isn't your only option when it comes to downloading apps -- should you give the Amazon Appstore a try? Read More in the past, but Amazon’s option has updated and grown a bit since then. The newer Amazon app fits in with today’s flat app interfaces. The navigation menu that used to slide out from the left is gone. 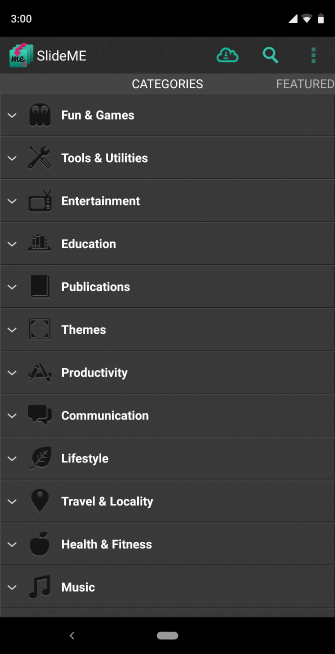 Now you can navigate categories by tapping icons at the bottom of the screen, as you would in an iOS app. These sections help you discover new apps and view your current library. They also keep track of your Amazon Coins, a form of digital currency akin to gift cards. The app also holds a light social component called Pulse. On the homepage, you can scroll down to see featured apps and what’s currently popular. There’s also a section for free software and apps on sale. Amazon’s store may not match the Play Store in size, but it manages to feel like a viable alternative. A large number of the most popular apps are present, if you exclude Google’s large collection of services. Of course, that’s a big caveat. 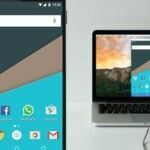 Many people consider Google’s software the primary reason they use Android over iOS. On the other hand, if you prefer Android over iOS because Android is technically open source, then F-Droid is the app store for you. 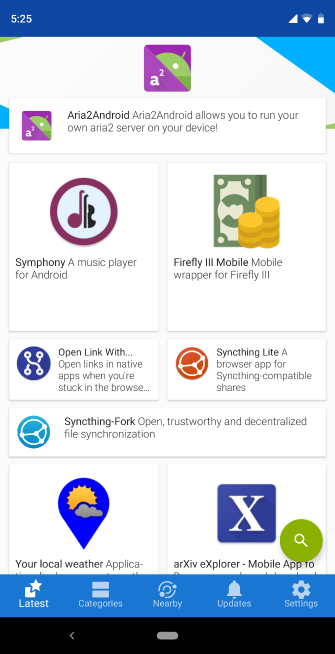 F-Droid doesn’t have anywhere near as many apps as the other options on this list. However, it is the largest mobile app store that features exclusively free and open source software. 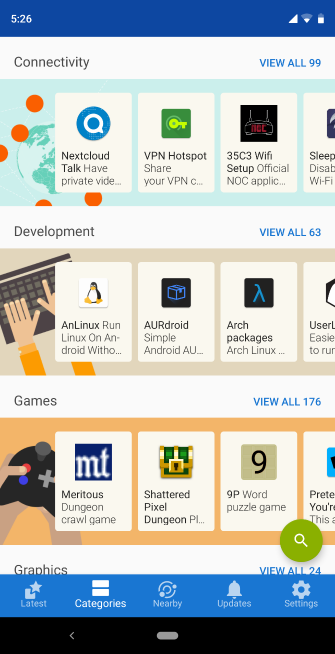 You don’t have to love Linux to find value in F-Droid. By definition, the apps here are all free to use. Not only that, you can have greater confidence that the software doesn’t contain any malware. 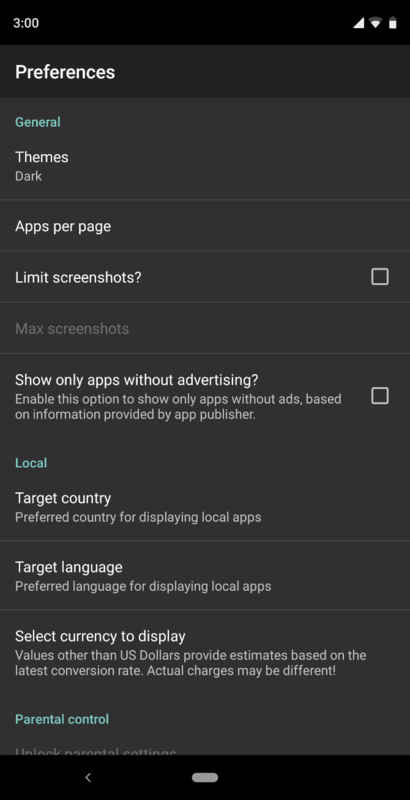 F-Droid even goes so far as to warn when apps may track your behavior or location. Previous versions of this app were abysmally basic. 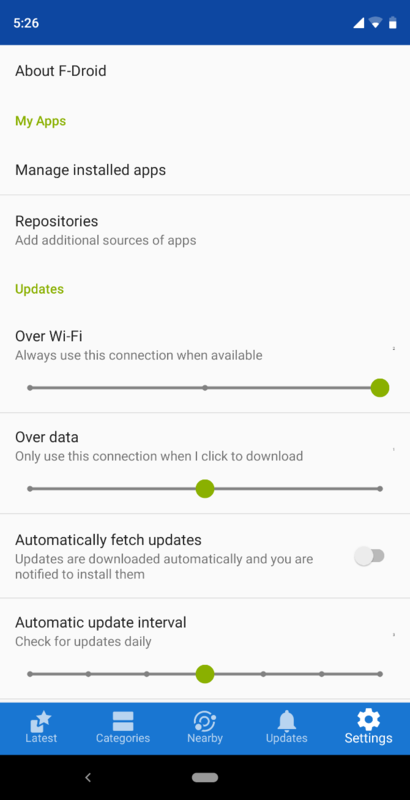 The latest version not only fits in with current Android design guidelines, but it provides categories and recommendations to help you discover apps that do what you need. This is especially valuable because if you’re using F-Droid, you’ll likely have to replace most of the apps you’re used to. We’ve highlighted our favorite open source Android apps to give you some ideas. SlideME is an app store that ships on many devices that don’t have Google Play. 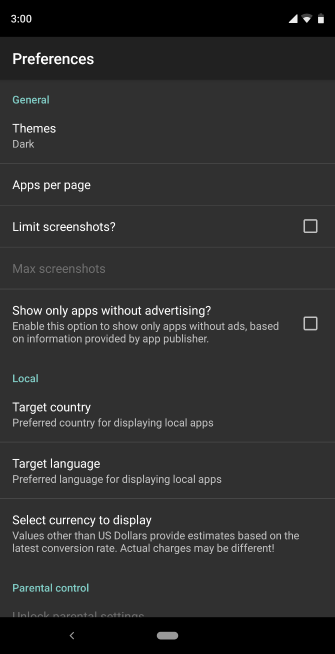 It targets device makers looking to sell in regions that the Play Store doesn’t service very well. SlideME also seeks developers whose apps aren’t welcome on Google Play (though it doesn’t permit apps with adult content). The store app that you download to your phone is called SAM, the SlideME Application Manager. 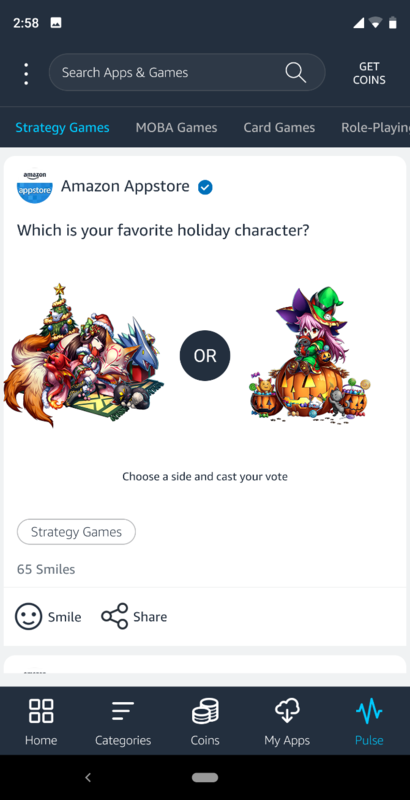 SlideME’s app selection is larger than F-Droid’s, but smaller than Amazon’s. 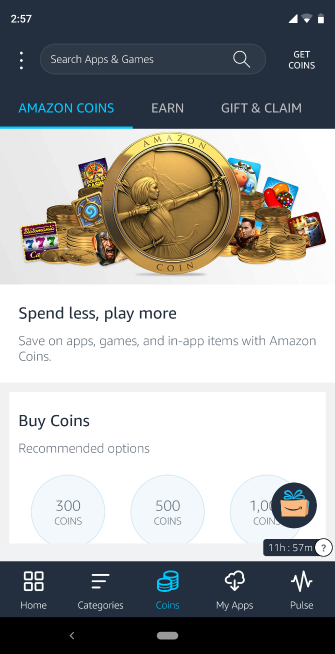 You’ll find more games here than on F-Droid and can avoid the tracking that comes with using Amazon. While SlideME may reach out to areas underserved by the Play Store, the company is actually based in Seattle. Each app is subject to review, so you can expect a certain degree of quality and safety. The store’s interface hasn’t seen an update in years, but it’s still functional and easy enough to learn. 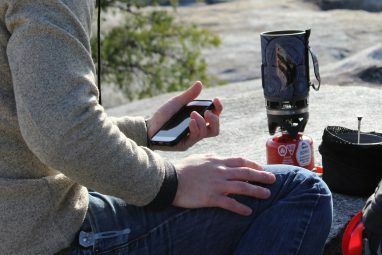 There are plenty of ways to discover new apps, which is a plus. Selecting an app gives you a download button, description, screenshots, reviews, and a few more options towards the bottom. 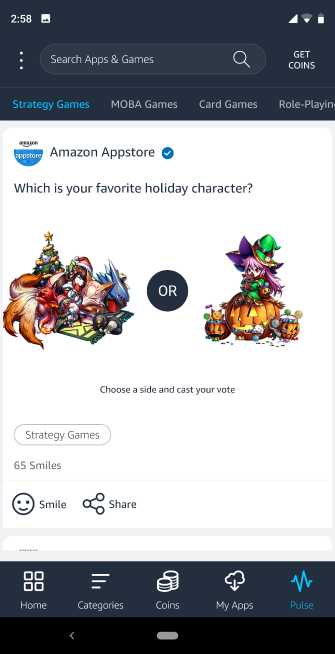 It’s a fairly standard amount of choices, similar to what you might find in the Play Store. However, there is a thin banner advertisement that runs along the bottom of the app sometimes, which is annoying if you accidentally press it. As the name suggests, Humble Bundle didn’t begin as an app store. Initially, it offered a semi-regular set of bundles that let you pay however much you wanted for a pack of games. If you paid over a certain amount, you unlocked the full bundle. Plus, a portion of every sale went to charity. Eventually, Humble Bundle expanded from a series of bundles into a full-blown app store. The site also sells soundtracks and books. But the bundles continue. Some of the early bundles included Android games. For a while, there was also a regular Humble Mobile Bundle that released separately from the main bundle. That practice has ended, but Android games haven’t disappeared. You can still find them within the Humble Store, and you may occasionally see one make an appearance as part of a bundle. 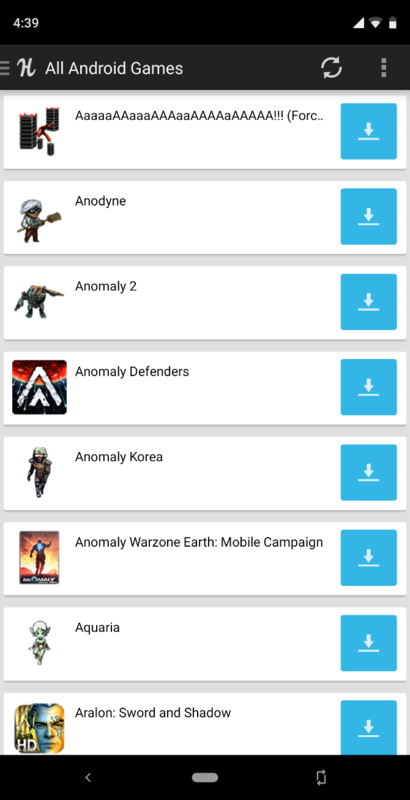 The Android Humble Bundle app isn’t a complete store. Instead, it’s a hub for downloading apps you’ve purchased and installing the occasional update. The interface is a little outdated, but it still works. 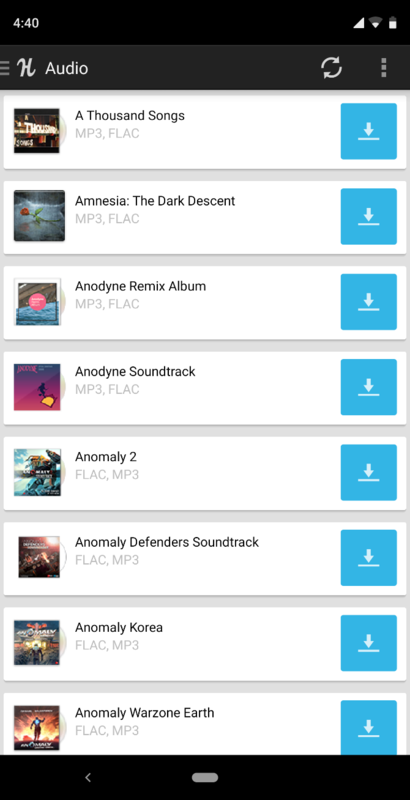 The Humble Store may not contain anywhere near the selection found in the Play Store or the Amazon Appstore, but every download is DRM-free. That means you actually own the software you purchase here, which you’re free to download and backup in any way you like. If you can’t access the Play Store, I hope one of these alternative app stores helps you download all the apps you need. 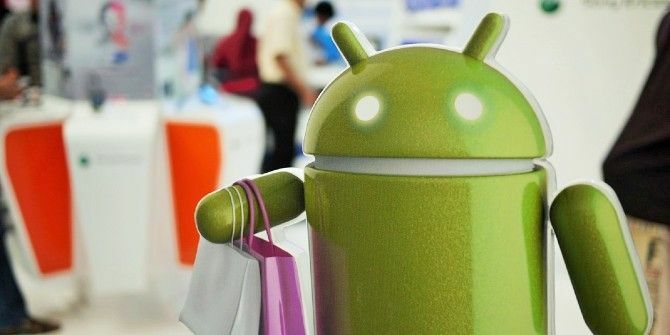 Meanwhile, if you’re leaving the Play Store because you have privacy concerns, there are other steps you can take to de-Google your Android device How to Use Android Without Google: Everything You Need to Know How to Use Android Without Google: Everything You Need to Know Want to use your Android smartphone or tablet without Google? Want to use open source software? Here we take an in-depth look at exactly how to do that. Read More . 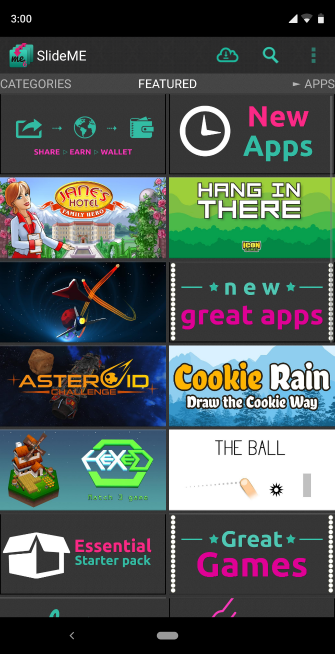 Explore more about: Amazon Appstore, Android Apps, Google Play Store. Higly confusing.After downloading amazon app ,find no free whats app software. Seems to make customer fool . Whenever Android apps comes up, its almost auto directed to cell phones and almost nothing else comes up. I'm fed up with Google and its doubleclick tracking crapware although some non cell phone android devices are stuck without anyway to side load apps or get away from Google. The highlight of my life comes with trying to find which android device has which OS and which apps are provided from which website. Drives me nuts trying to get info on which android devices do what. They usually start with abbreviations followed up with words you can't find in a dictionary that relate to information that is so generalized you can't figure out if it relates to apps or a candy store. very nice article informative and detailed description. >Yes. You can buy a better mobile device. I already have. That comment is just a waste of time, and you only make yourself look bad. It would have been much easier to simply say: No. Are there any alternative ways of getting apps for the iPhone? Yes. You can buy a better mobile device. Technically you can jailbreak your phone but Apple's walled garden is possibly its only redeeming quality; going that route defeats the purpose of the iOS ecosystem. It should also be noted that many major apps can be obtained from their developer. This is really important and more reliable than going to random app stores that have Firefox or Dropbox shaped holes in their app availability. try BLACKMART!! it is awesome. F-Droid has about 15 or so categories. Click on the line that says What's New and you'll see them. What about GetJar and 1Mobile? I was actually able to download Flappy Bird from Mobgenie after it got removed from Google Play.